People come and go, establishing strange symmetries sometimes, like atoms in a formula, apparently chaotic and yet so harmonious and linked. People have lives of their own, walking in opposite ways, in opposite directions and yet they are part of the same project, human existence. 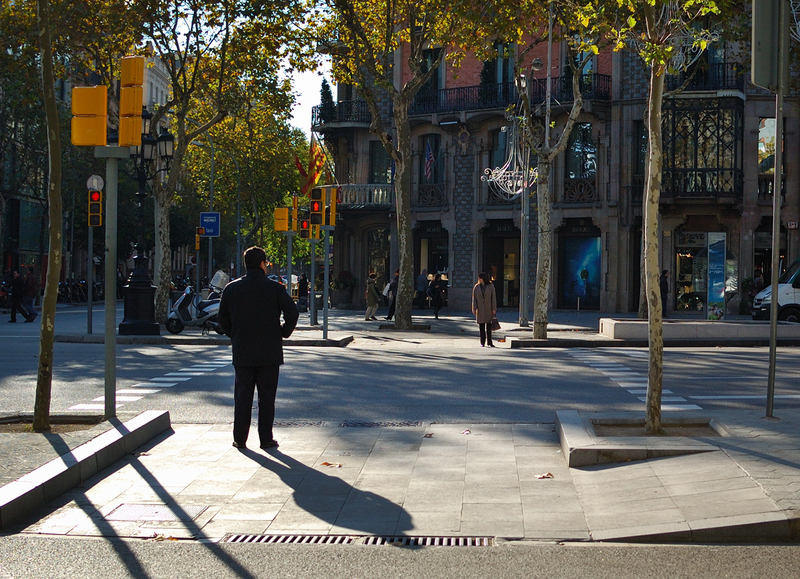 Here is a good example at a pedestrian crossing in Passeig de Gracia, Barcelona. This is marvelous. I would love to stand on that exact street corner and just feel Barcelona! Your images and words always have such clarity. I love the urban feel of this photo! Looks like a great place for a morning walk!